Model checking is a fully automatic technique for checking concurrent software properties in which the states of a concurrent system are explored in an explicit or implicit way. The main drawback of this technique is the high memory consumption, which limits the size of the programs that can be checked. 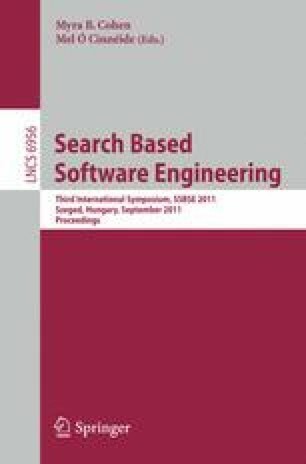 In the last years, some researchers have focused on the application of guided non-complete stochastic techniques to the search of the state space of such concurrent programs. In this paper, we compare five metaheuristic algorithms for this problem. The algorithms are Simulated Annealing, Ant Colony Optimization, Particle Swarm Optimization and two variants of Genetic Algorithm. To the best of our knowledge, it is the first time that Simulated Annealing has been applied to the problem. We use in the comparison a benchmark composed of 17 Java concurrent programs. We also compare the results of these algorithms with the ones of deterministic algorithms.